I have started with digital portraits lately. 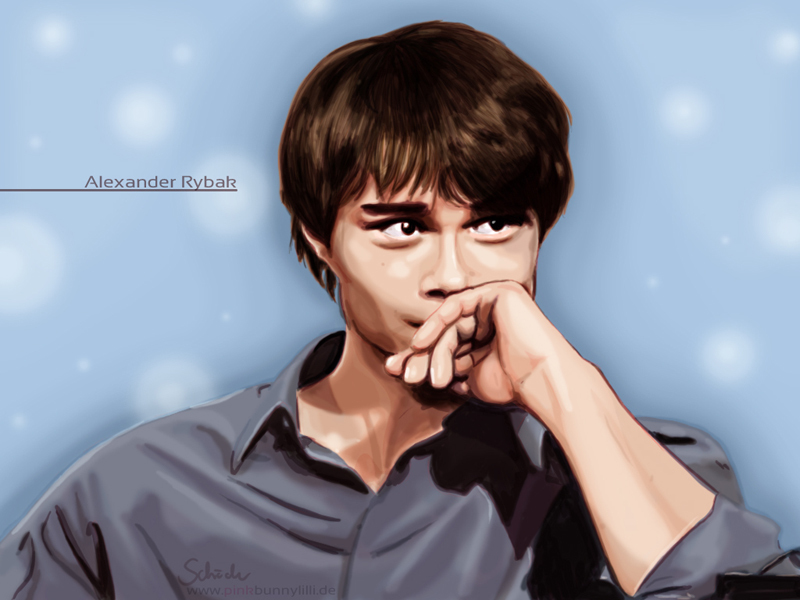 As I was coming into the mood to draw portraits, I searched for a nice picture in the big collection of deviantart. 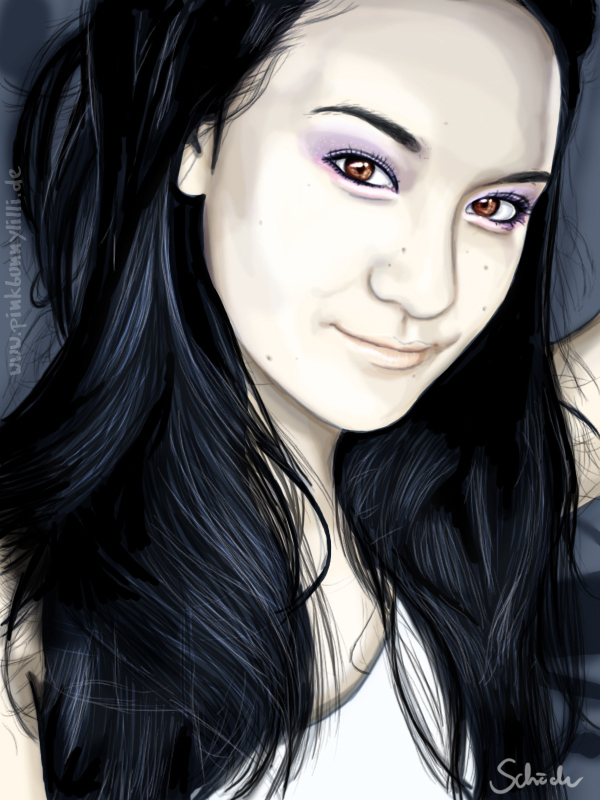 I found a great black and white photography of a young woman and draw the following picture. 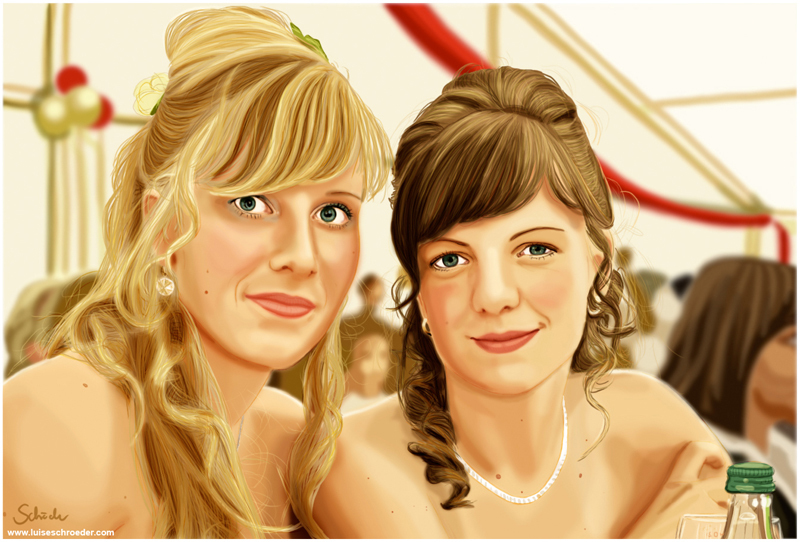 And this drawing was made after a picture we took at the prom of those two girls. I liked the light atmosphere of the background and tried to include it also in my picture.